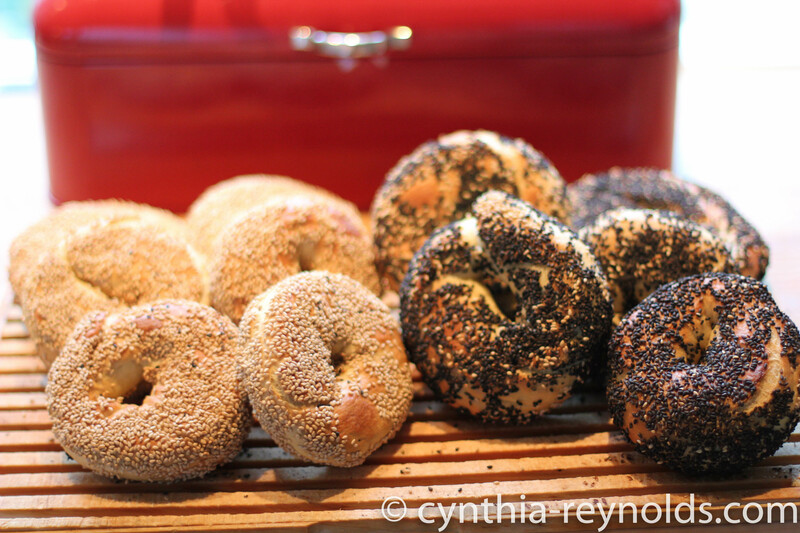 Montreal bagels are the perfect combination of sweet, savoury, crunch and chewiness! They are anything but a bun with a hole in it. Sunday morning bagel runs, 3AM post party bagel line ups at Fairmont or St Viateur, waiting your turn at the bagel factory watching them come straight out of the wood fired oven is a Montreal ritual, you do not even need to put any toppings on them. But if you do, you know that nothing beats ‘bagels and lox’! It was only when I moved to Norway that I learned that salmon is called ‘laks’ in norwegian, I loved that, having calling smoked salmon ‘lox’ since my childhood. Every time I visit my gang back in Montreal, bagels are on the list, and whenever someone comes to visit, they ask if they should bring a dozen bagels with them. It is quite honestly what Montrealers do. Never did I think that I could get the taste of home right here in my kitchen but guess what? They are amazing! adapted from a variety of recipes I have found online. some called for maple syrup, some used malt, feel free to try your own versions. 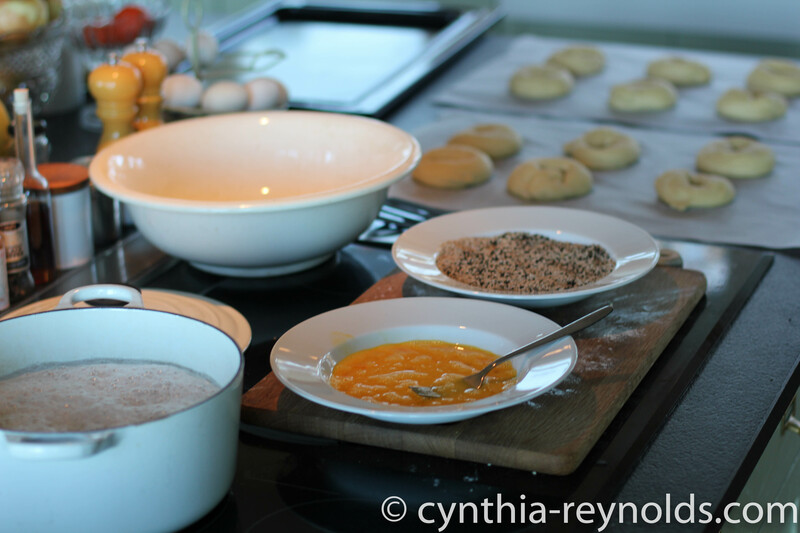 enough poppy seeds or sesame seeds to coat the bagels on both sides. 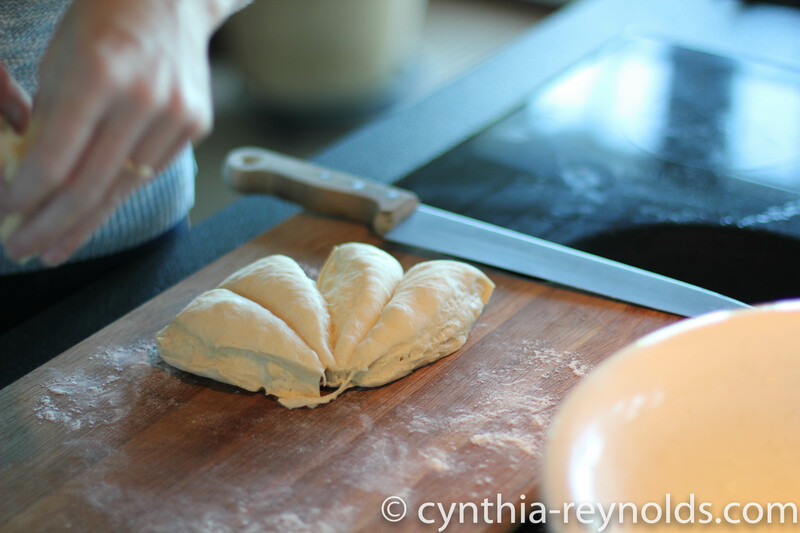 you can also use dried onion, garlic, or you can add raising and cinnamon in the final stages of your kneading. In a large bowl, combine water, sugar, yeast, oil, egg, honey and salt, whisk until dissolved and combined. Add the bulk of the flour slowly adding more until you get a shaggy dough. You may use more or less based on a variety of factors from the size of your eggs to the moisture in the air. 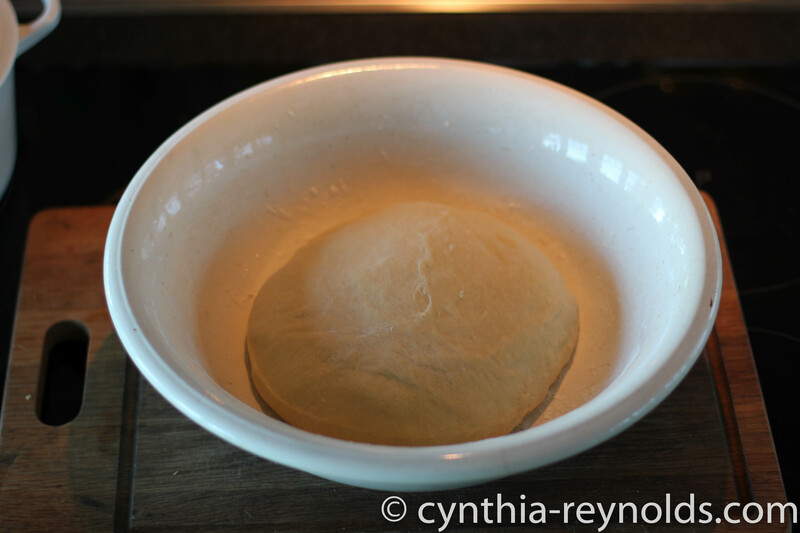 Knead your dough for 10 minutes. Once it is firm and smooth, let rest for 10 minutes in a bowl with a tea towel covering it in a warm place. 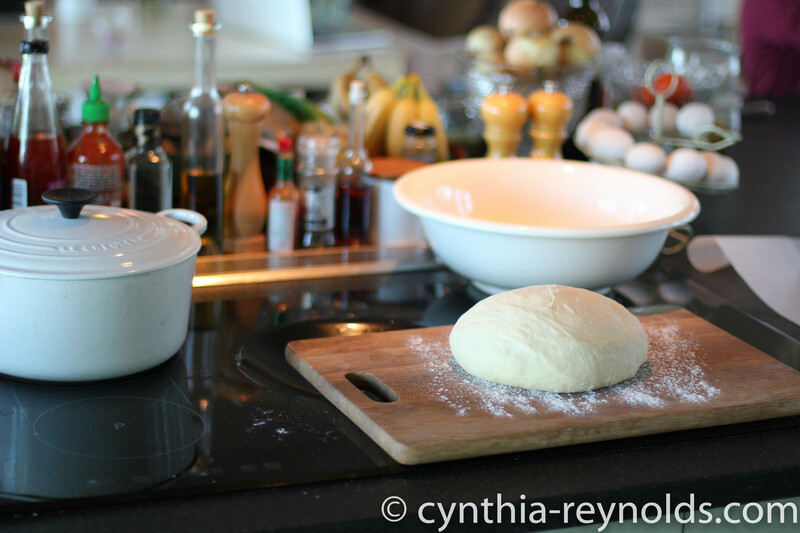 Divide your dough into 12 parts. My quick trick for this is to cut it like a pie.. first in half, then in half again then each quarter into thirds. Even sized every time! 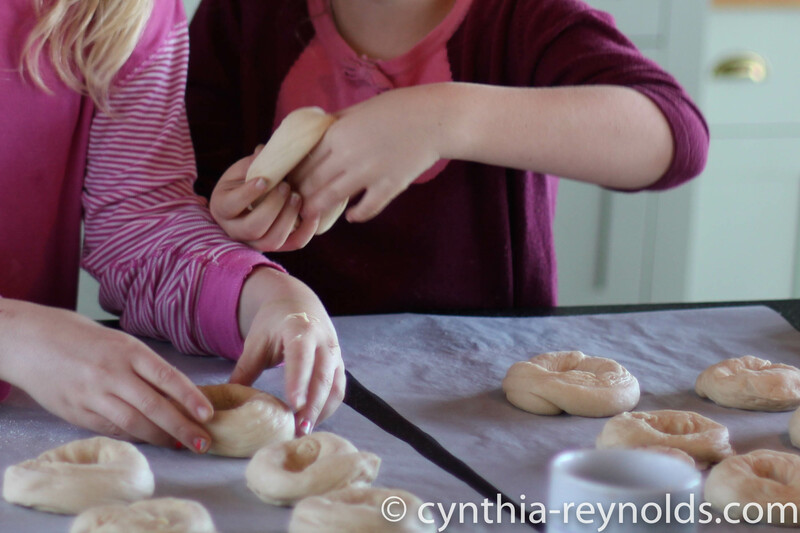 To shape the bagels, roll the fat end between your hands until it is long enough to wrap around your hand. roll the two ends together so they stick together well. If you do not do this, they will come apart when your boil them. it is fathers day here today, so helping hands were available. If 9 year olds can do it, so can you! Let the shaped bagels rise for 30 minutes. Meanwhile, prepare your honey water, egg bath and seeds and preheat your oven to 225 degrees celcius (yes, I know they should be made in a wood burning stove, but that will have to wait until my friendly neighbour fires hers up and I can run across the road and put in a batch!) but in the meantime, they taste great made in your kitchen oven. 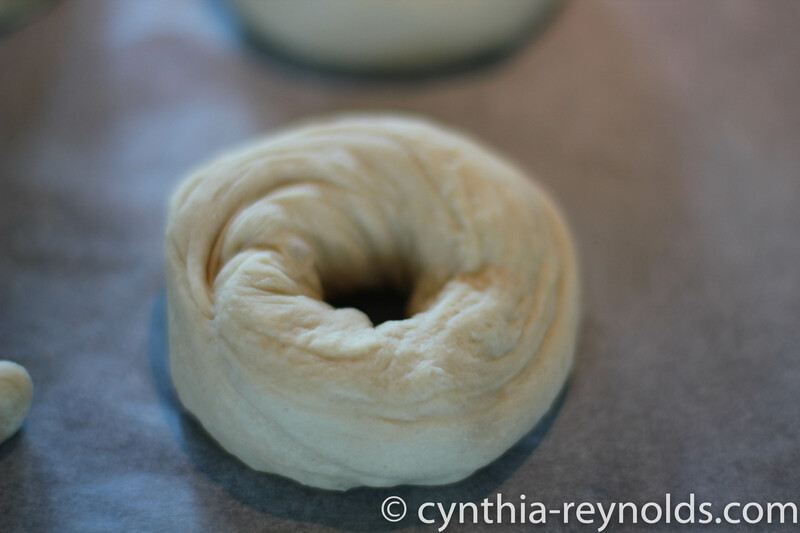 Let the shaped bagels rise for 30 minutes. Meanwhile, prepare your honey water, egg bath and seeds. Once they have been left to rise for 30 minutes, take 3 bagels at a time and drop them into the honey bath. after 45 seconds, turn them over for another 45 seconds. Do not worry about being stressed with your timing, Life is too short for that, the longer they are in the water, the crunchier the crust will be, some people boil them for up to 3 minutes, just have a timer nearby so you can see what works best for your taste. They will puff up significantly in the honey bath, take them out of the water, let them drain for a moment while you put the next batch in. While they are boiling, take the first batch and dip in the egg wash then seeds and place on your baking tray (I used parchment paper) and continue with the following batches until they are all done. A spare set of hands can make this part much easier if you do it production line style 😉 but no required at all. Put your bagels in your preheated oven, bake for 8 minutes, flip them over and bake for another 8 minutes. Let them cool if you have the patience! They are best eaten within 48 hours. Ideally with cream cheese, smoked salmon, capers and red onion.. but just about anything is good on bagels! PS.. they also freeze well. Cut them before freezing, then you can put them straight in the toaster! Enjoy!